The Loop or Chicago Loop is one of the four areas that constitute downtown Chicago. The others being the Near West Side, Near South Side, and Near North Side. 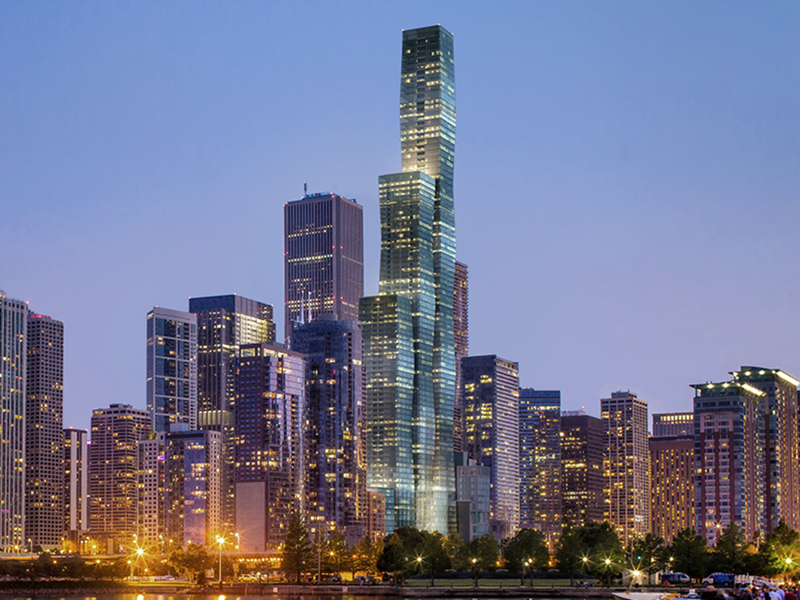 Out of the previously mentioned community areas, the Loop ranks second in its skyscraper count, third in population, and last in total area. Due to its location in the center of downtown Chicago, its iconic buildings, and its position as the seat of government for Chicago and Cook County, the Loop is arguably the most prominent of the four downtown community areas. It’s also home to the historic theater and shopping district, including State Street, in Chicago. As established in social research done by the University of Chicago in the 1920s, the Loop is a defined community area of Chicago. The community area is bounded on the west and north by the Chicago River, on the east by Lake Michigan, and on the south by Roosevelt Road, although the commercial core has expanded into adjacent community areas. The Loop includes Grant Park and one of the largest art museums in the United States, the Art Institute of Chicago. Other major cultural institutions that call this area home include the Chicago Symphony Orchestra, the Lyric Opera of Chicago, the Goodman Theatre, the Joffrey Ballet, the central public Harold Washington Library, and the Chicago Cultural Center. Loop architecture has been dominated by high-rises since early in its history. Notable buildings include the Home Insurance Building, considered the first skyscraper (demolished in 1931); the Chicago Board of Trade Building, a National Historic Landmark; and Willis Tower, the tallest in the United States. Some of the historic buildings in this district were instrumental in the development of high-rises. Chicago’s street numbering system – dividing addresses into North, South, East and West quadrants, originates in the Loop at the intersection of State Street and Madison Street. This area abounds in shopping opportunities, including the Loop Retail Historic District, although it competes with the more upscale Magnificent Mile area to the north, and with suburban shopping malls. It includes Chicago’s former Marshall Field’s department store location in the Marshall Field and Company Building; the original Sullivan Center Carson Pirie Scott store location (closed February 21, 2007); and Sears on State. Chicago’s Downtown Theatre District is also found within this area, along with numerous restaurants and hotels. Chicago has a famous skyline which features many of the tallest buildings in the world as well as the Chicago Landmark Historic Michigan Boulevard District. 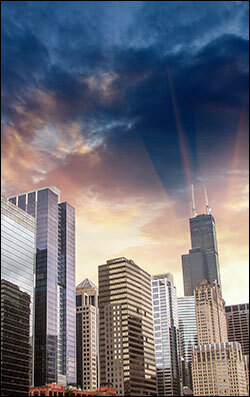 Chicago’s skyline is spaced out throughout the downtown area, giving it a graceful bridgelike appearance. The Willis Tower, formerly known as the Sears Tower, the tallest building in the Western Hemisphere, stands in the western Loop in the heart of the city’s financial district, along with other buildings, such as 311 South Wacker Drive and the AT&T Corporate Center. Chicago’s third tallest building, the Aon Center, is located just south of Illinois Center. The complex is at the east end of the Loop, east of Michigan Avenue. Two Prudential Plaza is also located here, just to the west of the Aon Center. The Loop contains a wealth of outdoor sculpture, including works by Pablo Picasso, Joan Miró, Henry Moore, Marc Chagall, Alexander Calder, and Jean Dubuffet. Chicago’s cultural heavyweights, such as the Art Institute of Chicago, the Goodman Theatre, the Chicago Theatre, the Lyric Opera at the Civic Opera House building, and the Chicago Symphony Orchestra, are also in this area, as is the historic Palmer House Hilton hotel, found on East Monroe Street. Chicago’s lakefront, which is almost exclusively recreational park area from north to south, features Grant Park in this downtown area. Grant Park is the home of Buckingham Fountain, the Petrillo Bandshell, the Grant Park Symphony (where free concerts can be enjoyed throughout the summer), and Chicago’s annual two-week food festival, the Taste of Chicago, where more than 3 million people try foods from over 70 vendors. A recent addition to Grant Park is the architecturally forward Millennium Park, which opened in the summer of 2004, featuring a Frank Gehry’s Jay Pritzker Pavilion, Jaume Plensa’s Crown Fountain and Anish Kapoor’s Cloud Gate sculpture and spanning what were formerly open railyards on the city’s lakefront. The Chicago River, which delineates the area, also provides entertainment and recreational opportunities, including the annual dyeing of the river green in honor of St. Patrick’s Day. Trips down the Chicago River, including architectural tours, by commercial boat operators are great favorites with both locals and tourists. 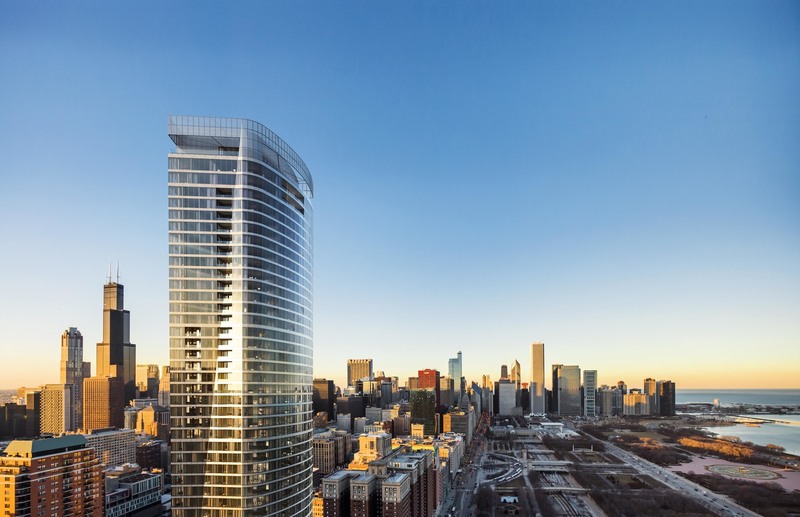 The New Eastside is a mixed-use district bordered by Michigan Avenue to the west, the Chicago River to the north, Randolph Street to the south, and Lake Shore Drive to the east. 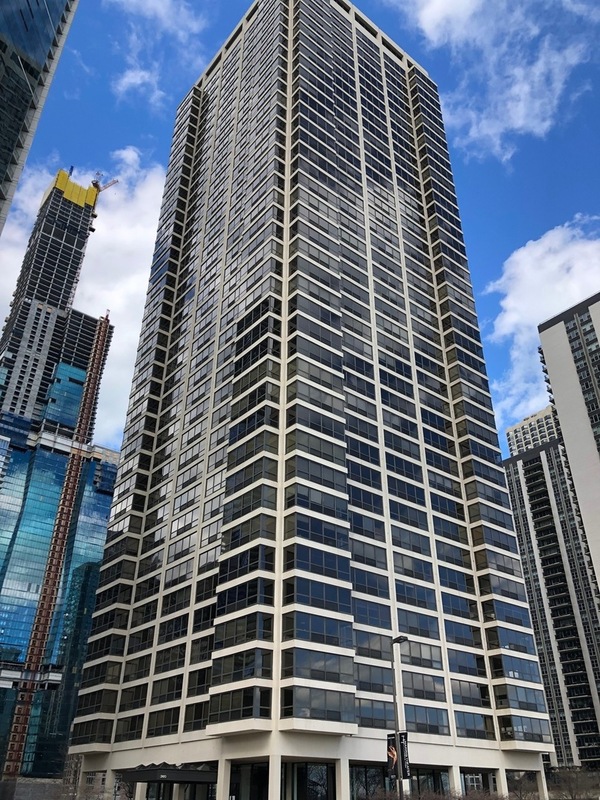 It encompasses the entire Illinois Center and Lakeshore East is the latest lead-developer of the 1969 Planned Development #70, as well as separate developments like Aon Center, Prudential Plaza, Park Millennium Condominium Building, Hyatt Regency Chicago, and the Fairmont Hotel. The area has a triple-level street system and is bisected by Columbus Drive. Most of this district has been developed on land that was originally water and once used by the Illinois Central Railroad rail yards. The early buildings in this district such as the Aon Center and One Prudential Plaza used airspace rights in order to build above the railyards. The New Eastside Association of Residents (NEAR) has been the recognized community representative (Illinois non-profit corporation) since 1991 and is a 501(c)(3) IRS tax-exempt organization ( www.NewEastside.ORG ). The triple-level street system allows for trucks to mainly travel and make deliveries on the lower levels, keeping traffic to a minimum on the upper levels. Through north-south traffic uses Middle Columbus and the bridge over the Chicago River. East-west through traffic uses either Middle Randolph or Upper and Middle Wacker between Michigan Avenue and Lake Shore Drive. The New Eastside is served by the following Chicago Public Schools: Ogden School and Wells Community Academy High School. Printer’s Row, also known as Printing House Row, is a neighborhood located in the southern portion of the Loop community area of Chicago. It is centered on Dearborn Street from Congress Parkway on the north to Polk Street on the south, and includes buildings along Plymouth Court on the east and Federal Street to the west. Most of the buildings in this area were built between 1886 and 1915 to house printing, publishing, and related businesses. Today, the buildings have mainly been converted into residential lofts. Part of Printer’s Row is an official landmark district, the Printing House Row District. The annual Printer’s Row Book Fair is held in early June along Dearborn Street. Printer’s Row is zoned to the following Chicago Public Schools: South Loop School and Phillips Academy High School. The Loop also contains the Chicago Landmark Historic Michigan Boulevard District, which is the section of Michigan Avenue opposite Grant Park and Millennium Park. The Loop is the center hub of the amazing CTA rail and bus system. You can get anywhere from here!